Meatless Monday is featuring my recipe for Spiced Okra on their website this week! And my lovely photograph is on their main page. 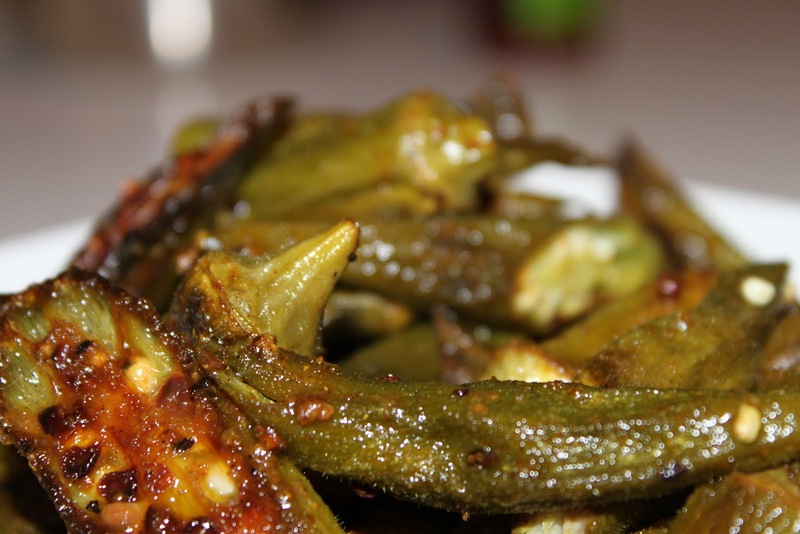 Okra is caramelized in the oven and tossed with tart lemon juice. 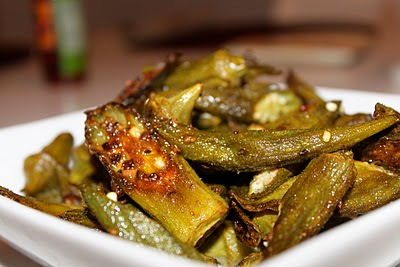 Curry powder adds a kick to this simple side dish that highlights okra’s naturally savory flavor. Just the other day, I was standing next to a huge box of fresh okra at the West Hollywood Farmers Market, when a woman asked me how to cook okra. She complained that whenever she's attempted it, the okra always comes out horribly slimy (which it tends to do when not prepared properly). What I love about this recipe is that roasting the okra crisps it up beautifully, transforming the sliminess into juicy deliciousness. The curry powder and lemon juice lend the dish a great kick and amplify the flavor. And roasting the okra with olive oil is much healthier than frying it (which also eliminates the slime factor). So if you have a chance, hop over to Meatless Monday's website and check out my recipe for Spiced Okra -- and those from the other three featured bloggers this week. Their recipes include Eggplant Chard Frittata, Corn Bell Pepper Soup, and Roasted Summer Squash Spagehettini. Can anybody say yum?